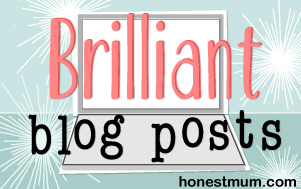 Thank you to the lovely Misunderstood Mummy for nominating me to do the A-Z of me tag! This was harder than I expected, I could think of loads of things for some letters but others I couldn’t think of any (U?!). So here’s a little bit more about me in the form of the alphabet! A – I don’t like to start with a negative but this would have to be for anxiety. I am in recovery from this now but post-natal anxiety has been a big part of my life for the past couple of years. B – I love my bed. I thought sleep was over rated before I had Little Man. Not any more, I am in my bed by 8pm some nights nowadays!! C – I would be lost without my car. When G is away I would never get Little Man to nursery by 7:30am and myself to work by 8am without it. D – I love seeing daffodils as it shows me spring is coming. This pleases me a lot. E – I love elephants. I’m not really sure where my interest in them started but I have a great collection of ornamental, cuddly and pictures of elephants. F – I love my friends. They are wonderful. G – G my husband. H – I am a bit obsessed with housework. I never feel like our house is as clean and tidy as I would like it to be and am constantly playing catch up. I have to admit if I am in the right mood, I love a bit of a housework session. I – I have an irrational fear of ice – the weather variety. I hate walking and driving on it. Freaks me right out! J – If you follow me on Instagram you will see the silly amount of pictures I post of me in my pyjama bottoms. If I am not going out for the rest of the day, the jim jams are on! K – I am a firm believer in karma. You get back what you put in. If you are a nice person, people will be nice to you. Simples. L – I am a fully fledged, (3 years of university) trained Librarian. I am currently a School Librarian in a secondary school. M – I am rubbish at make-up but this year I am on a mission to do better. I have been watching lots of make-up tutorials on YouTube and researching products to improve. N – When Little Man was 10 months old he started nursery for 2 and a half days a week. I was very wobbly about doing this and was unsure I was making the right decision. However, Little Man loves it. He has made friends and is very excited to leave the house when it is a nursery day. O – October – the month my life changed forever and my little man came into the world. P – I love a pizza night. It is my favourite take away and makes me very happy! Q – Ducks go quack. And it was one of Little Man’s first words! R – I love to read. I find it hard to fit in now but I love nothing more than sitting down with a good book. S – Little Manuel – my boy. T – I am turning thirty in August. I am excited to start planning a few celebrations and my first child free night since Little Man was born. U – I asked G if he could think of anything for U as I was stuck, his response – ‘you have a sparkly umbrella‘. V – I am a huge vlogs fan. Not so much a fan of making them myself but I love watching them. I find myself watching more vlogs than normal TV at the moment. W – I always liked writing but I have completely fallen in love with it since starting to blog. I love the outlet it gives me, the diary I have created for Little Man and the support it provides for my anxiety. X – I would imagine most people will say xylophone so I’m going to jump on the band wagon. Little Man has a toy xylophone and I can’t say I like the sound very much! Might be the way he plays it. Y – I tried yoga a year or so ago as something to help with my anxiety. I think I went to the wrong class as it scared me off and I couldn’t bend anywhere near as much as the (much older) ladies I was surrounded by. I really want to try again so have been looking at a few beginner videos on YouTube. Z – Zzzz’s – I would like more of them please. There we go, hope that has given me a little more of an insight into all the random parts of my life. Bet you always wanted to know I own a sparkly umbrella! Now it’s my turn to nominate; Beau is Blue & Cornish Mum, want to play?